If you have sensitive skin, you know the struggles your skin has to go through, especially during summer. The irritated skin and red patches everywhere signs your misery. How do you, with such delicate skin, fend off the harsh rays of the sun, without irritating your skin? Read on to find out. The sun can create a lot of problem to your skin, though it is crucial for the production of vitamin D. You have probably seen many people in their late 20s and early 30s developing signs of aging such as wrinkles and fine lines. One of the main factors to blame here is the sun. 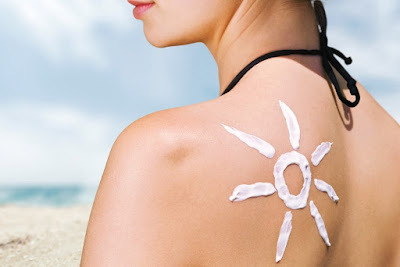 If you have normal skin, you can use a good quality sunscreen to protect yourself. But what do you do, when you have skin that reacts even to the slightest application of a product? The answer comes in the form of a sunscreen that has been specially formulated for sensitive skin—Kaya Skin Clinic’s Sunscreen for Sensitive Skin. Some highlights of this sunscreen are listed below. Your sensitive skin can, possibly, react at the faintest sense of perfume. Therefore, it is of high significance that you choose a product that is free from perfume additives. For the best care for your sensitive skin, you need to choose a product that has been specially formulated to be light on your skin. Its non-greasy formula keeps away dust from your skin. Just because you have sensitive skin doesn’t mean that you should not or cannot afford to prevent skin problems triggered by the Sun. Using this sunscreen, you can enjoy the benefits that other users do too. Fight off suntan, sunburn, and skin discoloration, without any hassle. Skin cancer is another setback, of prolonged exposure to the sun. Using this sunscreen will reduce the chance of developing skin cancer. You don’t have to worry anymore about the skin irritations. Fend off the harsh rays of the sun using a Sunscreen for Sensitive Skin. Age is just a number, but your skin may not feel the same. Growing old is something many people dread and although it is unavoidable, delaying the aging process is indeed possible. Kaya Skin Clinic’s Derma Regen 4 Layer Therapy is where pure, fresh European seaweed rejuvenates, tones, and helps firm the skin, thereby delaying the aging process. 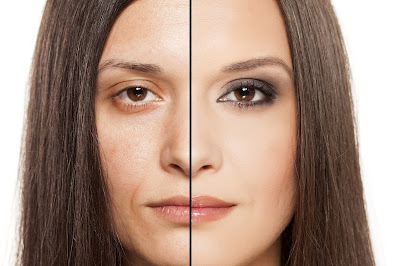 The natural human aging process follows different trajectories in various organs, tissues, and cells over time, and skin aging is a part and parcel of this phenomenon. While the aging signs of internal organs are concealed from the “eyes,” the skin provides some of the first visible marks of passing time. As you age, your skin's fatty layer starts to decrease. 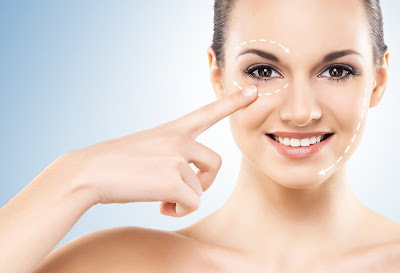 Not only do you have to worry about facial skin showing signs of sagging but also other areas like the stomach, eyelids, and arms to name a few. Many factors cause our skin to age including exposure to the sun, pollution, an unbalanced diet, and unhealthy habits like smoking or drinking. Here are some ways you can positively influence your skin. During the hot sun, you may be at the beach or running errands, but while doing this, protection from sun rays is vital. You can shield yourself by finding shade, screening your skin, and applying sunscreen with a broad-spectrum of SPF 30 or more. A facial expression can contract the underlying muscles, if repeatedly contracted for many years. And these lines become strong and cause faster aging. New readings suggest that consuming lots of fresh vegetables and fruits can prevent some of the damage that can lead to skin aging which is premature. Studies suggest that there can be accelerated aging if the diet included excessive sugar and refined carbohydrates. Kaya Skin Clinic has built an age arrest system that reduces the aging on your skin effectively. Using seaweed, which contains naturally essential fatty acids, this age arrest system aids in instilling moisture into the skin. This is a 4-Step therapy that not only saves your skin against aging, but also moisturizes, relaxes, protects, and hydrates the skin. Avoid the temptation to improve skin with a do-it-yourself cosmetic procedure. With Kaya's Derma Regen 4 Layer Therapy you can experience a drastic difference and your skin will definitely be toned and rejuvenated. Have you been embarrassed by your hair time and again, thanks to those white flakes on your shoulders? Is having dandruff-free hair your long-term dream? Well, time to make your dream come true with Kaya Skin Clinic’s Scalp Exfoliate and Revitalize Therapy. 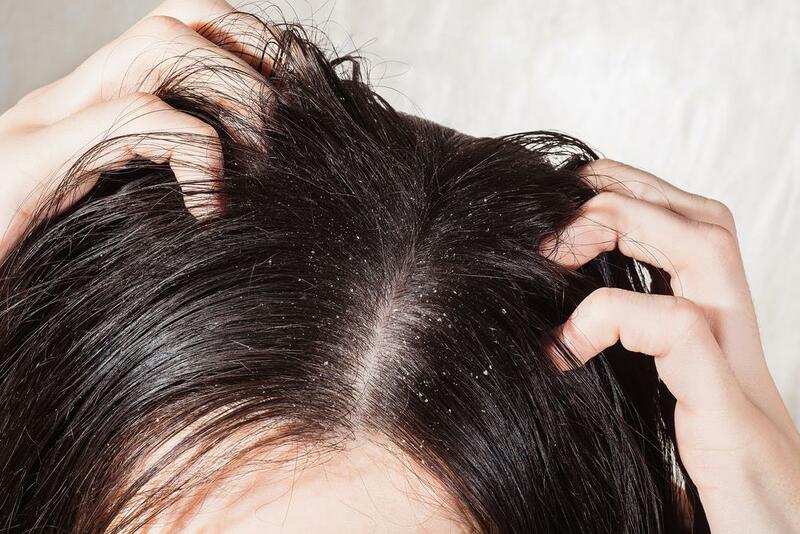 None of us like having an itchy scalp that hosts white flakes of dandruff. The presence of dandruff can be attributed to a lot of factors, but the most common reason for the occurrence of dandruff is said to be dry skin. People with dry skin have the tendency to get affected by dandruff-related problems when compared to others. This is because the scalp attracts small flakes that aren’t oily in nature. Apart from dry skin, there are causes that lead to formation of dandruff on scalp. If you’re under the impression that dandruff and itchy scalp are problems for a lifetime, then you’re wrong. This 3-staged process is completed with the usage of 2 Kaya products—Kaya Anti-Dandruff Lotion and Kaya Anti-Dandruff Shampoo. This product contains an OT complex, which hosts different actives that are helpful in controlling dandruff and also in decrease the itching accordingly, in an effective manner. Apply throughout the scalp evenly and massage it in a gentle manner. It has an effective active called Piroctone Olamine, that works against dandruff-causing microbes, along with seaweed algae to control sebum production, and panthenol that promises long-term moisture to the hair. Apply adequate quantity on the scalp, lather well, and rinse it later. For successful completion of the therapy, apply the lotion overnight and shampoo the next morning. Worry no more, get rid off those embarrassing flakes and get ready to say hello to dandruff-free hair by executing the Scalp Exfoliating and Revitalizing Therapy. Is your perfect life being blemished by dark circles? Life is too short to be spent with a pair of dull, lifeless eyes. Revitalize those eyes and bring back that sparkle with Kaya’s Lighten And Smoothen Under Eye Gel. Everything comes at a price. So do your achievements. When we’re busy reaching professional heights working all night, or aiming to top exams by pulling off all-nighters, seldom do we realize that all these efforts are going to leave a mark forever on our faces. Dark circles or under eye circles are usually the result of continuous sleepless nights. It is not necessary for you to be beauty-conscious to notice them. They are, unfortunately, prominent and make you look dull and exhausted. Most of us don’t take this issue seriously and let it be. As a result, we might end up looking older than our age and sport a worn-out look all the time. Apart from regular fatigue, dark circles are also caused due to a few medical reasons like atopic dermatitis and contact dermatitis, to name a few. Apart from the above-mentioned causes, there are other common reasons for the formation of dark circles. There are numerous traditional methods to combat dark circles, but those cease to be effective when the roots are deep-seated. This is when Kaya Skin Clinic’s Lighten And Smoothen Under Eye Gel comes to the rescue. Kaya Skin Clinic has formulated an under eye gel that is unique in nature. The gel contains a unique combination of potent actives and has a special formula to moisturize and revitalize your skin. Further, application of the gel will lead to skin becoming lighter and increases the overall radiance. It has an advanced active HALOXYL which tones, firms, and effectively reduces under eye circles. 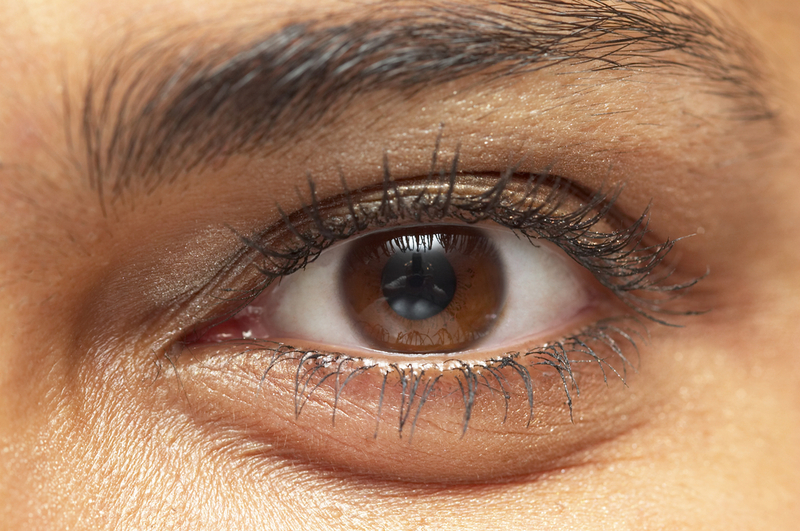 Take a drop of the gel and pat it around the eyes in a gentle manner, twice a day—preferably once in the morning and once at night. To get that flawless skin, team the under eye gel along with other products from Kaya Skin Clinic’s fairness range, like the Fairness Face Cleanser, Revitalising Tonic, Fairness Nourishing Day Cream, Fairness Nourishing Night Cream, and the Insta Brightening Micro Mask +. These products form a complete beauty treatment package for that spotless, glowing, and rejuvenated skin. Get rid of those unpleasant dark circles with Kaya’s Lighten And Smoothen Under Eye Gel and let those eyes sparkle. A daily routine which is time-consuming, hair reduction can be helpful for many a lot of people. While conventional techniques such as tweezing, waxing and shaving are adequate for eliminating the hair, Kaya's Permanent Hair Reduction provide solutions which are long-term for hair reduction, nicks, bumps and ingrown hairs! In a culture where time is definitely money, everyone is continually scanning for ideas to hit things off of their list quicker. Laser hair treatment eliminates hair growth literally at the speed of light. It is created to remove numerous hairs in a huge area, simultaneously. 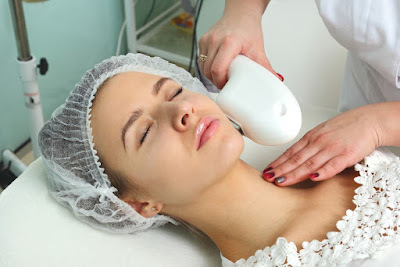 Laser hair reduction assistance can take a minute to 15 minutes or maybe up to a half hour for larger surface areas, which depends also on the area being reduced. The service at Kaya Skin Clinic focuses on the hair follicles to lessen the hair on your body by pulling them out right from the roots. All of this is achieved without damaging the neighboring skin. You don't have to be bothered about the presence of hair on legs or think twice about wearing that dress, with US FDA approved Nd-YAG Advanced Laser Technology, Kaya Skin Clinic can make your legs smooth and hair-free. Having facial hair for women can be pretty uncomfortable. So if you're worried by the excessive facial hair, Kaya's "Hair Free Gentle Touch" will never let you go through the other painful processes for removing facial hair. "Hair Free Gentle Touch" treatment from Kaya Skin Clinic can be done on any face surface, like the chin, upper lip, neck and the side locks. Upper lip, neck, chin and side locks are areas for treatment on the face for women. Earlobes are the surface of treatment on the face for men. ● To understand the hair type, skin type, and also the pattern of hair growth in detail. ● To experience with a small fold of your skin to check sensitivity. ● There will be a customised service by certified laser therapists, who will be under the direction of a dermatologist. Services are monitored and guided by dermatologists who help you pick assistance that is suitable for your skin and hair type. You can go through some Kaya Skin Clinic reviews to understand how laser hair removal treatment is effective. Tired of getting body hair removed through a tedious and treacherous routine week after week? Initially we may be caught up in the excitement of smooth skin, despite the pain involved in getting hair removed. But eventually, monotony sets in and some of us might even give up trying to go on with it anymore. There is a simple solution for this—read on to know more. Whatever be the method—waxing, hair removal creams, shaving—regular hair removal is a time-consuming and boring procedure, not to forget the added troubles that come with it, every month. There is a simpler solution to combat this problem—opting for laser hair reduction. 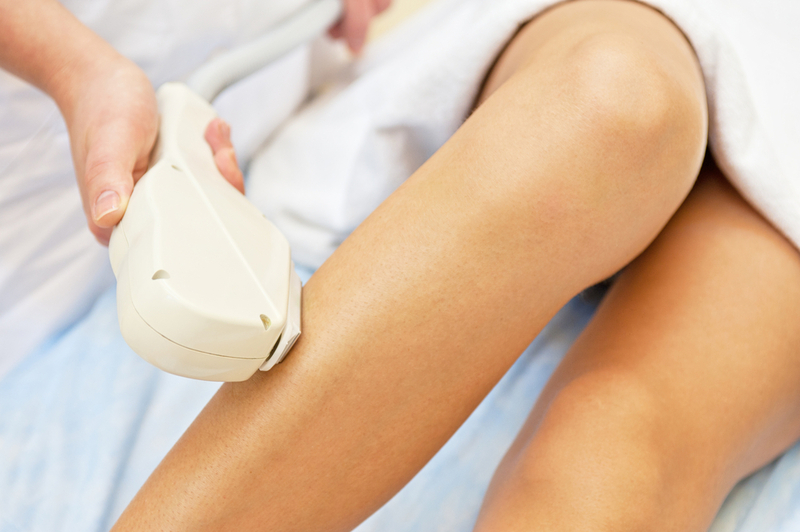 Laser hair reduction is proven to be effective in acting as an answer to your hair removal woes. When it comes to laser treatments, one must be very careful in choosing where it it’s done. Kaya Skin Clinic, a well-known brand for years now, offers one of the most technically advanced painless hair reduction treatments in the country. At Kaya Skin Clinic, they use US FDA approved laser that’s proven to be right for the Indian skin. The laser follows the hair follicles present in the body, without any impact on the skin around it. The body hair grows in 3 phases—anagen, catagen, and telogen. Among these, anagen denotes the phase of hair growth and Kaya Skin Clinic’s Painless Hair Reduction Treatment aims at removing hair in that phase. A total of six sessions is generally required to complete the treatment, and this may vary from person to person. ● Time saving: Unlike conventional methods, this treatment requires just a few sessions to give you long-lasting solutions. Once the treatment is done, you can say goodbye to the hassles of your monthly annoying, painful hair removal methods. ● More economical: Even though waxing might seem like a cheaper option than a laser treatment, it most certainly is cheaper in the long run—and don’t forget the excruciating pain that you can avoid. Opt for Kaya Skin Clinic’s Painless Hair Reduction Treatment today, and forget all about the hair-removal woes.